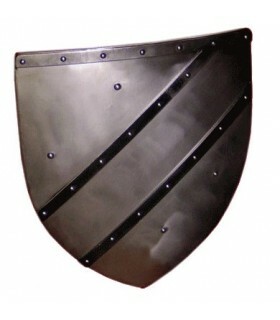 Battle ready shields There are 25 products. Almond functional coat with front decoration. Made of steel. It includes handle, clamp and padded at the back. Size: 60x110 cms. 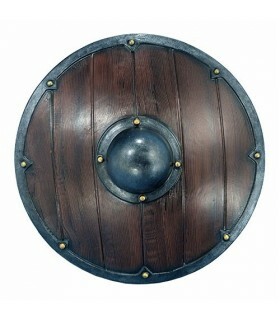 Functional undecorated round shield. Made of steel and prepared for battle-ready rear handle and self-adjusting belt. Available in various sizes. 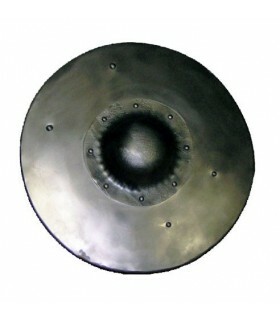 Functional round shield decorated with central buckler. Made of steel and prepared for battle-ready rear handle and self-adjusting belt. Available in various sizes. 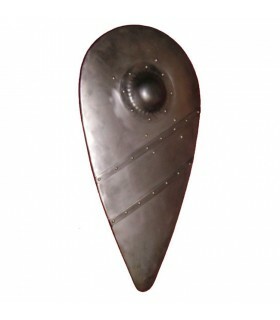 Gothic functional steel shield, made especially for real fights, battle-ready. For right. Dimensions: 57x50 cms. It includes adjustable belt clip leather. 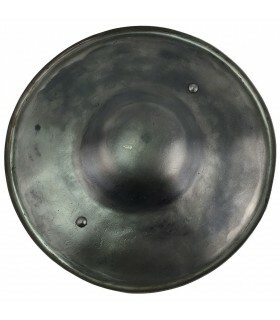 Buckler to fight, 32 cms. 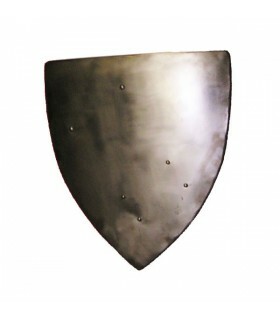 Buckler designed to fight in combat recreation. Properly prepared for the best grip without suffering shock knuckles. Made of steel 15ga 1.9 mm. thick. 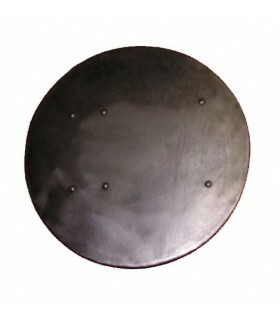 Diameter 32 cms. 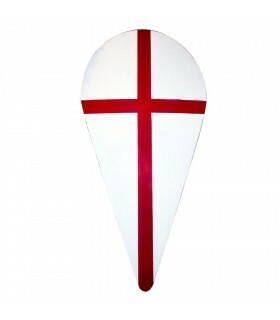 Templar shield functional, 50x60 cms. 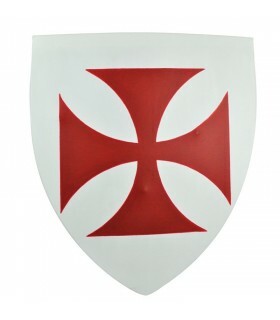 functional Templar shield specifically designed for real fight. Made in oak laminate 1 cm. thick. It is lined with 6 layers of canvas and finished with acrylic paint. The back is made guaca coated leather and suede. The straps are made of cowhide. 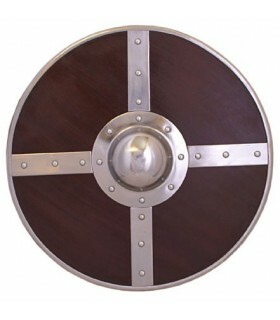 Viking shield functional, imitation wood, made of high quality latex. 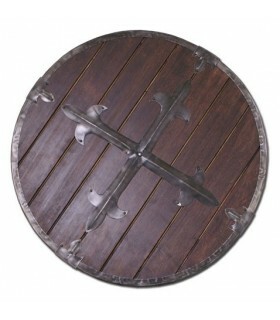 Functional Viking brown shield made of wood and decorated with bolted on the contour steel parts. The back is covered with felt and has a strap for grip. 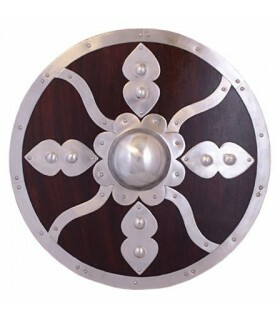 This massive shield is made in cast steel by hand with a distressed finish. 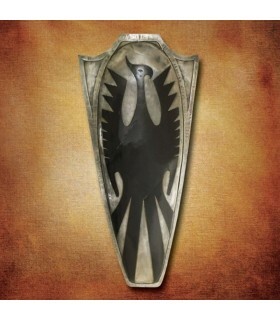 It is curved with precision to accommodate the arm muscular of Death Dealer. 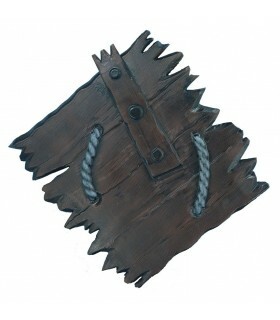 Carried leather straps adjustable in the back for a better fit and a handle to grab. Includes Certificate of Authenticity. 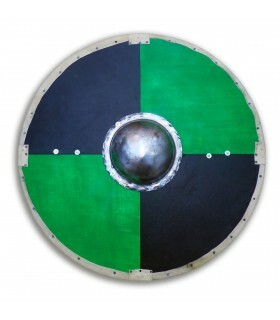 Shield Viking functional, 56 x 56 cms. 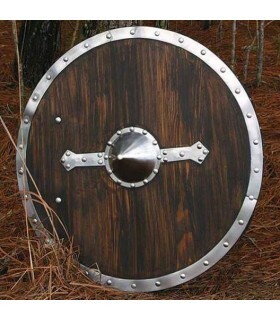 Shield viking functional made of wood and with umbo of metal. 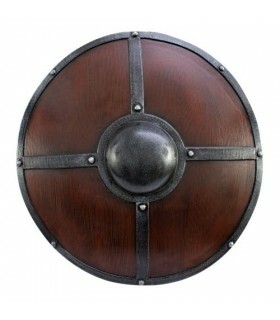 The diameter of the shield is 56 cms. 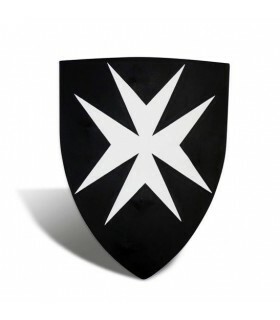 Shield Hospital functional, 50x60 cms. 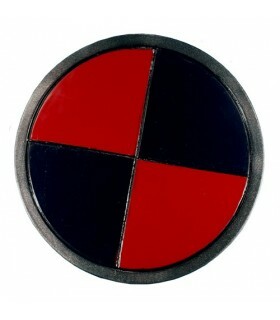 Shield Hospital functional that is specifically designed for real fighting. 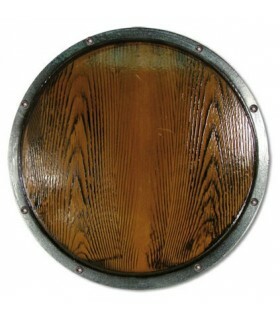 Manufactured in oak wood laminated 1 cms. thick. Comes lined with 6 layers of canvas and finished with acrylic paint. The back is made of guaca and coated in leather suede. The straps are made of cow leather. 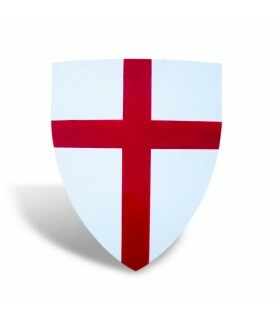 Shield templar functional designed specifically for the real struggle. Manufactured in oak wood laminated 1 cms. thick. Comes lined with 6 layers of canvas and finished with acrylic paint. The back is made of guaca and coated in leather suede. The straps are made of cow leather. 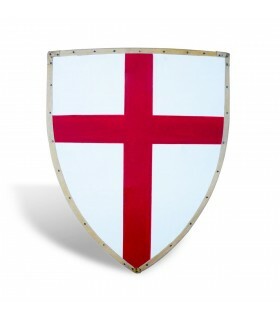 Shield templar edging in natural leather and functional, designed specifically for the real struggle. Manufactured in oak wood laminated 1 cms. thick. Comes lined with 6 layers of canvas and finished with acrylic paint. The back is made of guaca and coated in leather suede. The straps are made of cow leather. Shield templar functional with a teardrop shape, specifically designed for real fighting. 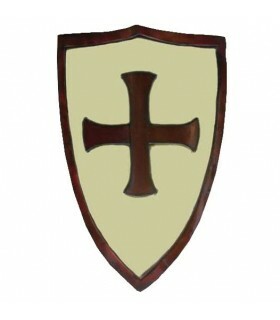 Manufactured in oak wood laminated 1 cms. thick. Comes lined with 6 layers of canvas and finished with acrylic paint. The back is made of guaca and coated in leather suede. The straps are made of cow leather.